We were in the Clarion West Workshop for Science Fiction and Fantasy class of 2001. Other than that, we're about as diverse as you can get. 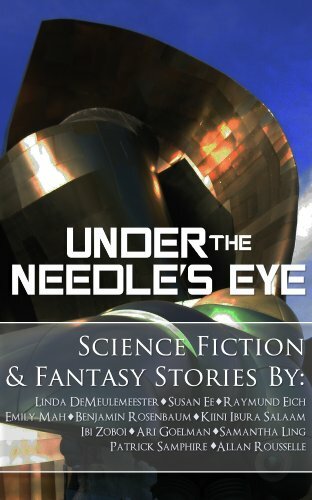 This anthology is one of the broadest samples you can find of up and coming science fiction and fantasy talent. Eleven authors with one thing in common, we were in the Clarion West Workshop for Science Fiction and Fantasy class of 2001. Other than that, we’re about as diverse as you can get. This anthology is one of the broadest samples you can find of up and coming science fiction and fantasy talent. Our instructors were: Octavia Butler, Bradley Denton, Nalo Hopkinson, Connie Willis, Ellen Datlow, and Jack Womack.